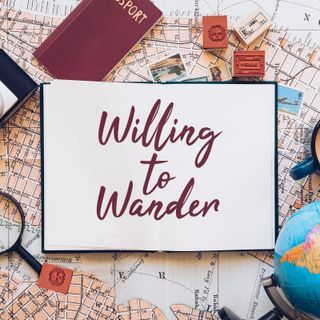 Welcome back to another episode of Willing to Wander! In this episode, I'm super excited to be joined with Wen-Jay Ying, the founder of Local Roots NYC. Local Roots is an alternative CSA model, that provides city dwellers with fresh produce from farms all within a 2 hour drive from the city. You buy into a season's worth of produce and pick it up weekly from a convenient market location near you (mostly coffee shops and bars!). Wen-Jay saw a need to modernize the traditional CSA ... See More model, while making it fun and more community based, with monthly cooking events! Listen to hear more about how Wen-Jay turned her discouragement from losing her job into motivation to change the food system, from the ground up. Check out www.localrootsnyc.com to learn more about the membership options as well as to receive your first week trial if you live in NYC! Also follow them on Instagram @localrootsnyc to get food inspiration- even if you aren't in the city. And check out my website: www.willingtowander.com for photos and additional links everything Local Roots! Thanks again for listening and stay tuned for more episodes soon!